Shop Hosa HDMC High Speed HDMI Cable with Ethernet HDMI to HDMI Mini from AMS with 0% Interest Payment Plans and Free Shipping. 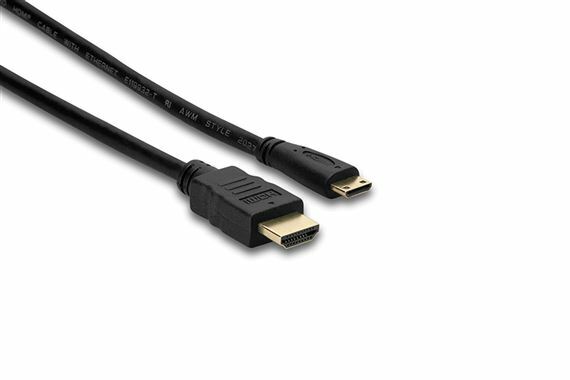 Hosa High Speed HDMI Cable with Ethernet is certified to carry the HD video signals transmitted by today’s multimedia devices. It is ideal for DSLR cameras, camcorders, and other HD video sources. Hosa is known for high quality cables at great prices, and this is no exception!